A desire to make a choice of some kind… I am concerned with magic, awe and wonder, with ontological insecurity. I am very aware of the way that Britain has a habit of interfering overseas. Years ago I did a Mickey Mouse machine-gun sculpture as a comment on the Americans in Vietnam. I was interested to discover from my historical research how we’d meddled with the place after the Japanese surrender. It wasn’t the Americans who started it and it wasn’t the French. It was us. When I’m lucky enough to visit New Orleans I try to avoid the more obvious tourist traps. I see nothing special about the bitter Joe and greasy dough at Cafe Du Monde, rarely set foot on Bourbon Street, and try to walk out of the Quarter (or at least skirt the edges) whenever possible. Still, there is cool stuff even in the heart of touristland. One special little spot is Pirate’s Alley. 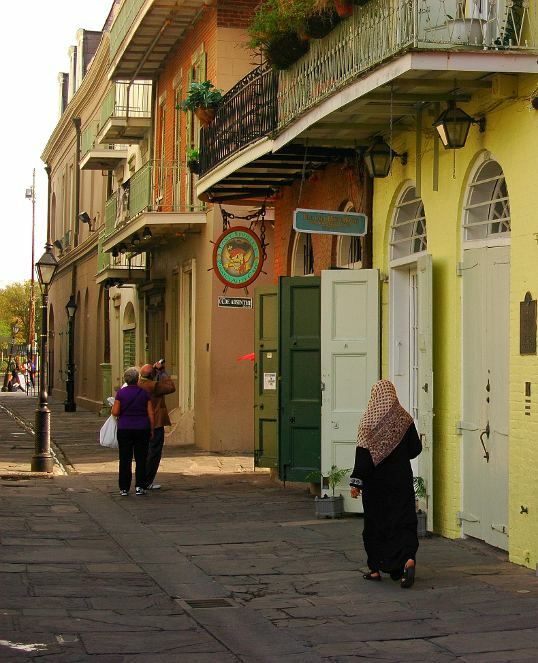 It’s a narrow passage that runs alongside the St. Louis Cathedral, connecting Jackson Square with Royal Street. History drips onto the cobblestones like Spanish Moss from an iron balcony. Usually I like to aimlessly drift through and see what there is to see. There is usually something interesting. 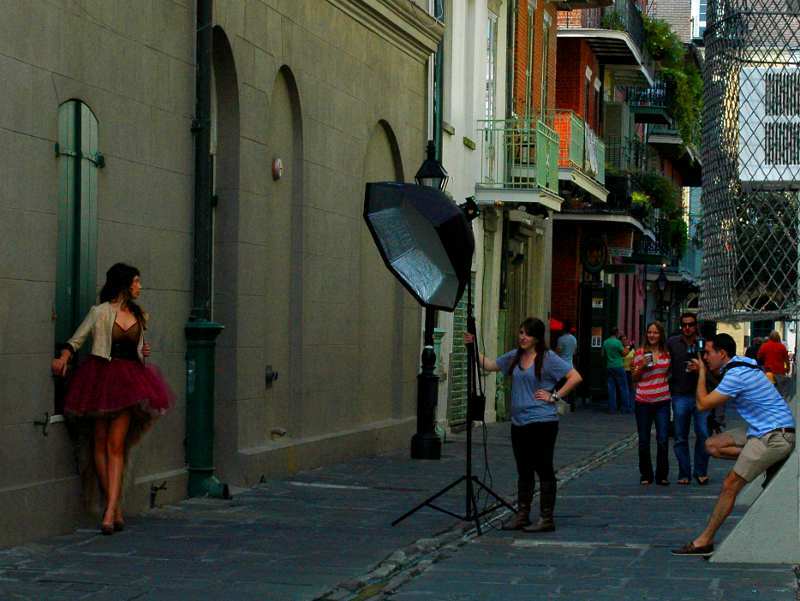 Once, I stumbled across a fashion shoot in the alley. On our last trip – I walked down Decatur from Canal, headed for Pirate’s Alley. 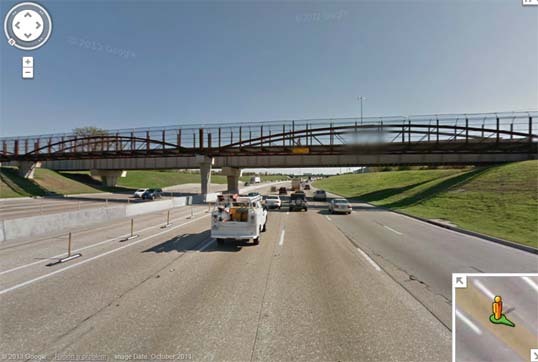 This time I was going somewhere in particular – an unusual state for me in the Big Easy. 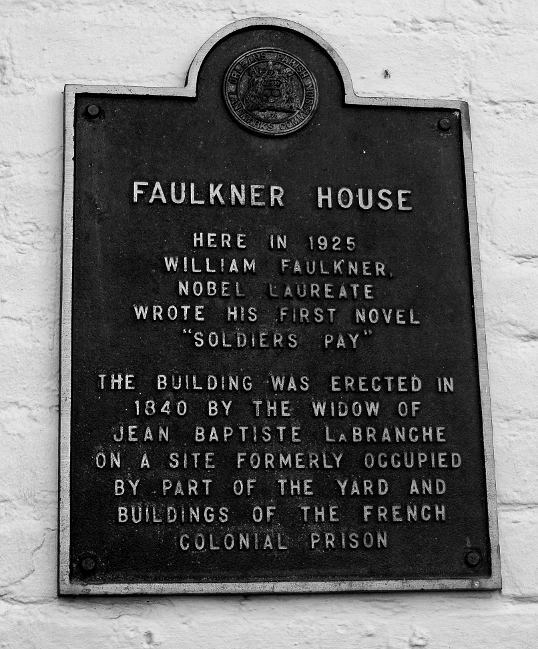 I had realized that I had never visited Faulkner House Books – a tiny bookstore located in the alley. What makes this store so famous is that it occupies an apartment on the lower floor where William Faulkner once lived. There, in that very space, he hammered out his first novel Soldier’s Pay, begining the transition from unknown poet to Nobel prize winning novelist. 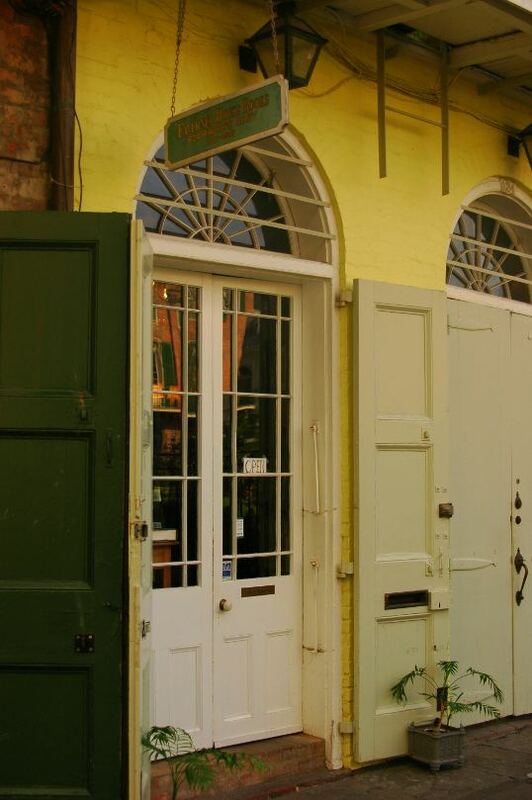 So I crossed Jackson Square – ignoring the thick crowd of artists, musicians, tourists, and fortunetellers – strolled down the alley past the Absinthe House and pushed the doors open to the bookstore. It’s a small place – not hard to imagine it as a tiny apartment for a young, struggling writer. It’s packed with bookcases, every inch of wall covered, plus a collection of free-standing cases. I glanced and saw a well-dressed elderly gentleman delicately thumbing through the case. The woman walked over to him and began to talk about the history of each volume he was examining. I heard him talking about which editions he already had in his collection and what holes he was trying to fill. Those books were obviously not in my price range so I moved back toward the entrance and began to peruse the ordinary mass market offerings – after all, I had to buy something. I considered picking up a Faulkner novel but decided instead on Same Place, Same Things, a book of short stories by Tim Gautreaux. A South Louisiana writer, I had read another collection of his, Welding With Children, and really liked it. We had talked about Tim Gautreaux while walking around on our New Orleans Writing Marathon the day before. I had discovered that he had written a story, Waiting for the Evening News, (contained in the book I chose) based on a train derailment in Livingston, Louisiana in 1982. I wanted to read that story because I had worked that train derailment when I was a consultant to the Emergency Response Division of the EPA. Paperback in hand, I waited while the other man paid for his purchases – two beautiful, large books. His bill came to just under a thousand dollars. After he left, I handed my little trade sale paperback to the woman. “Sorry, my purchase isn’t quite as big as his,” I said. I said I had and told her a quick version of the story of the derailment. She smiled and rang me up. Right after I took a photo of the plaque, this guy did the same thing. 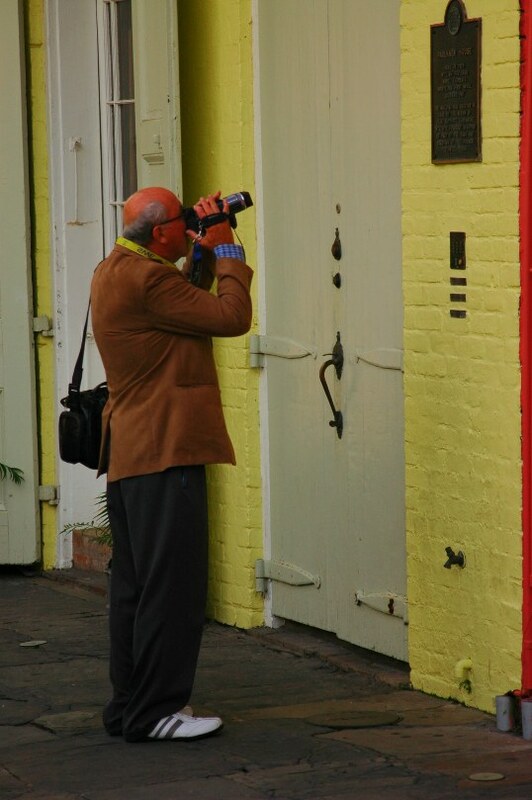 He and his wife never went in the store – he just moved along, not even taking his eye out of the viewfinder. An old video of the train derailment at Livingston. I worked there for a couple weeks – providing technical assistance and taking samples to help determine when the residents could return home. I’m in the video, though unrecognizable, at about the nine minute mark. – in front of We Stand Together… one of George Rodrigue’s Blue Dogs. I love exploring the city by bicycle. 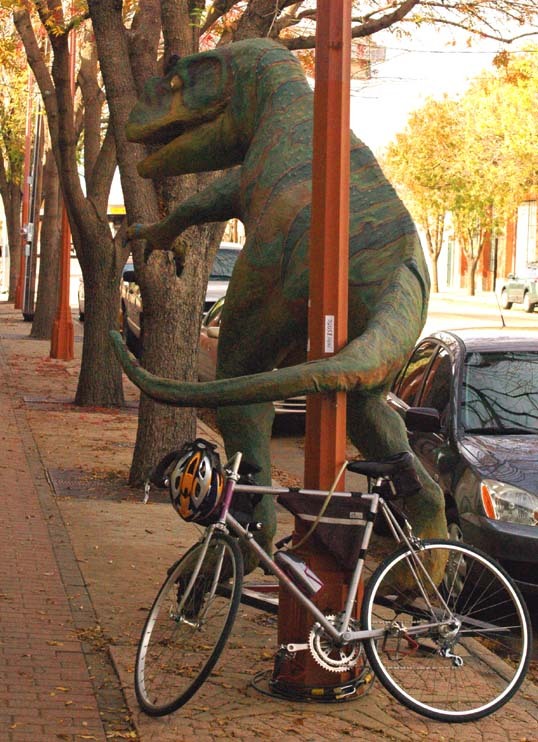 Here’s my old Raleigh Technium locked up and guarded by the TRex in Exposition Park, Dallas. 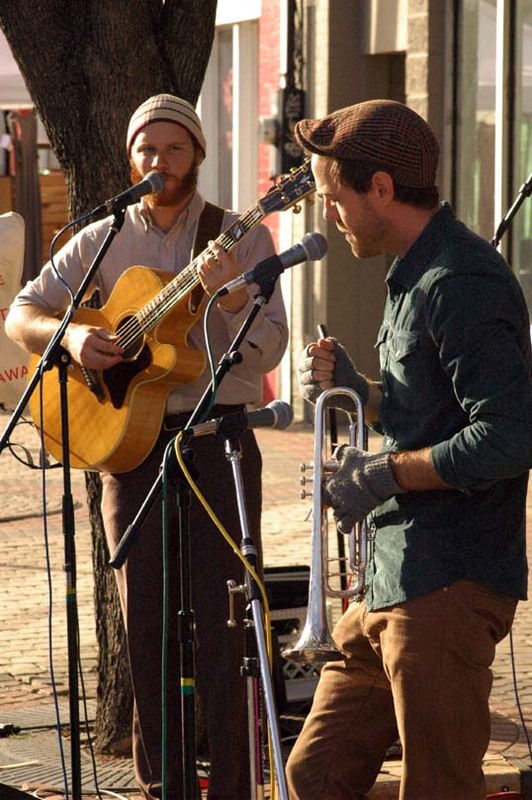 Taken during the Deep Ellum Holiday Boutique Shop & Ride. Be there or be square. I’m stoked. I was at Target the other day, and standing in front of me in line was a gentleman buying a plunger. That’s it. A plunger. While I really should have been feeling bad for him, because after all, the poor guy was out on a plunger run, I found myself staring at him in wonder, dazzled by his ability to get out of Target with only one darn thing. October is so far away. This should be cool. Shane Pennington is one of the founders of Aurora. 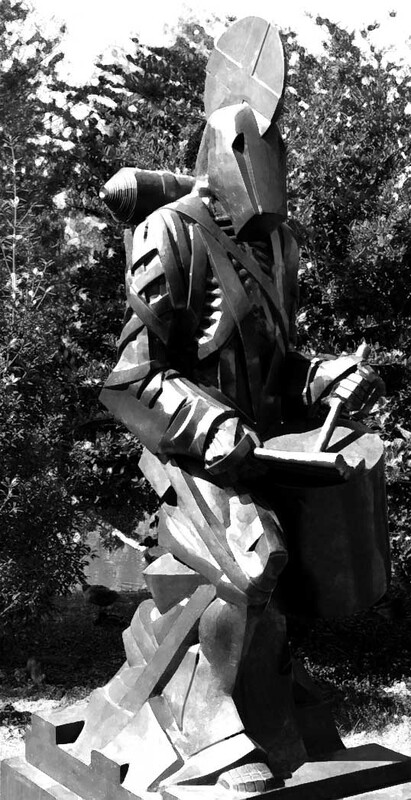 He did this amazing sculpture/installation in the Arts District.